MAKEiT Pro-L: The Printed Parts | Makeit, Inc. The all-new MAKEiT Pro-L is here. 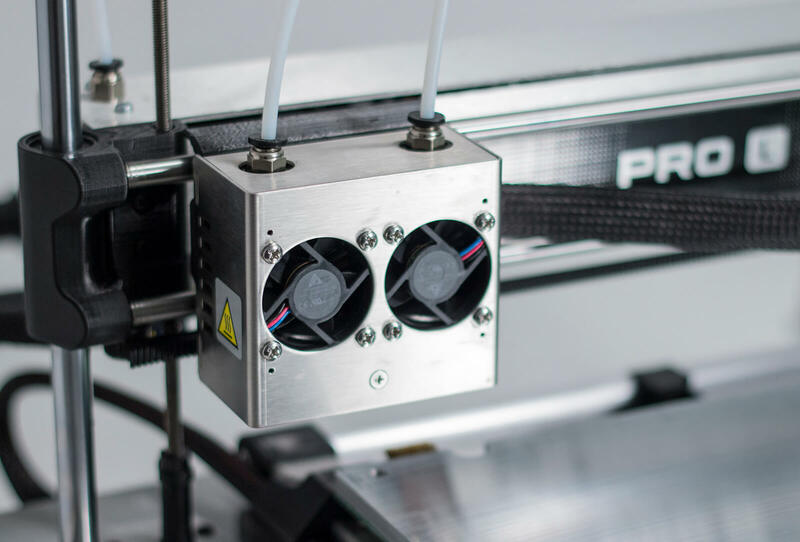 The Pro-L incorporates multitudes of improvements beyond the original MAKEiT Pro, and represents what we believe to be the first desktop-format 3D printer purely focused and suited to the demands of manufacturing and professional services. On the surface the stunning new finish and design theme are immediately apparent, but the changes continue beneath with a completely new control board, more expansion capability, dual-phase bed heater, redesigned print head with dual-fan cooling system, and many other component and material improvements. Behind our claim of manufacturing-ready capability is the truth of our own manufacturing. While many printer companies make components for their own machines, most wouldn’t dare to post photos so close up as these. The unique capability of a MAKEiT printer is made apparent when you examine the function and quality behind the printed parts on the new Pro-L. The print head carriage and X-bar ends are printed in functionally durable PETG. The ability for PETG to carry constant load without failure allows us to press-fit our highest quality Misumi bearings into place, making for a square and secure hold. 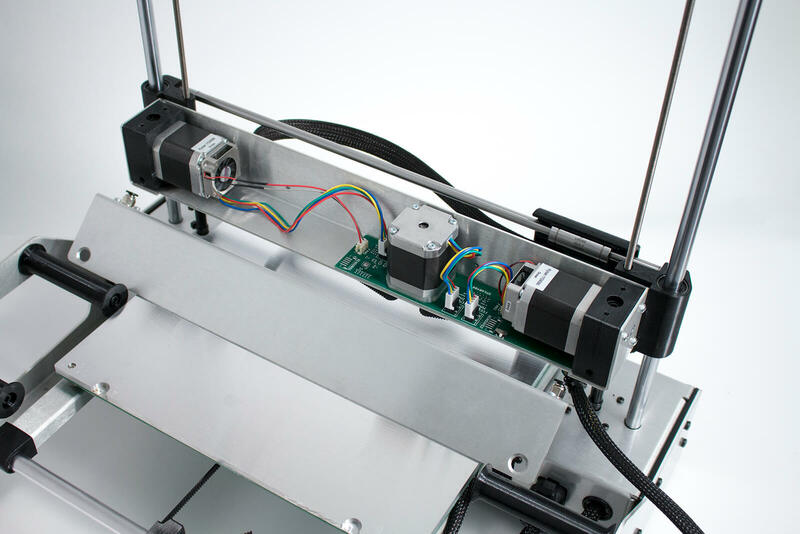 That same property allows us to incorporate the X-axis belt tension mechanism straight into the print head carriage, reducing parts and assembly complexity. 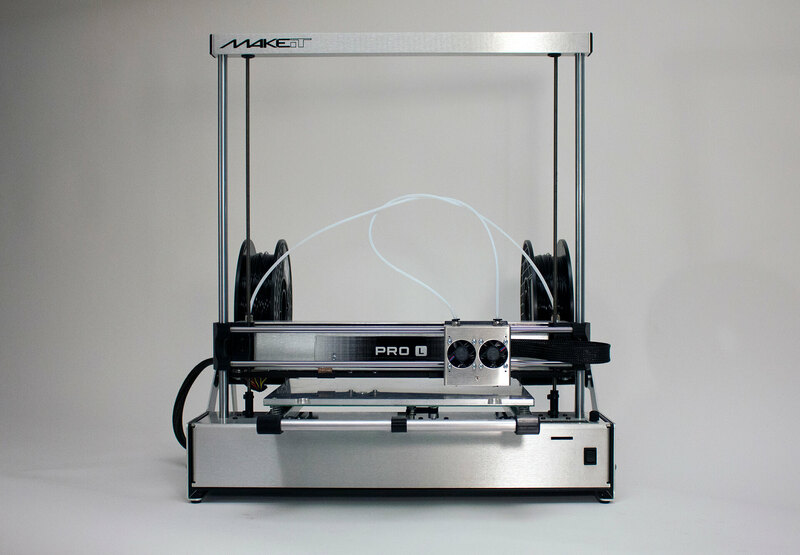 Many of the parts which were printed on the original MAKEiT Pro reappear in improved form on the new Pro-L. The Y-axis belt tensioners and hot bed corner parts are no longer printed in ABS, instead opting for FlexFill material from Filamentum. The FlexFill provides a high level of strength combined with a usable flexibility. This means tighter tolerances, firmer attachments, dampening of unwanted vibration, and beautifully snug parts fitment. 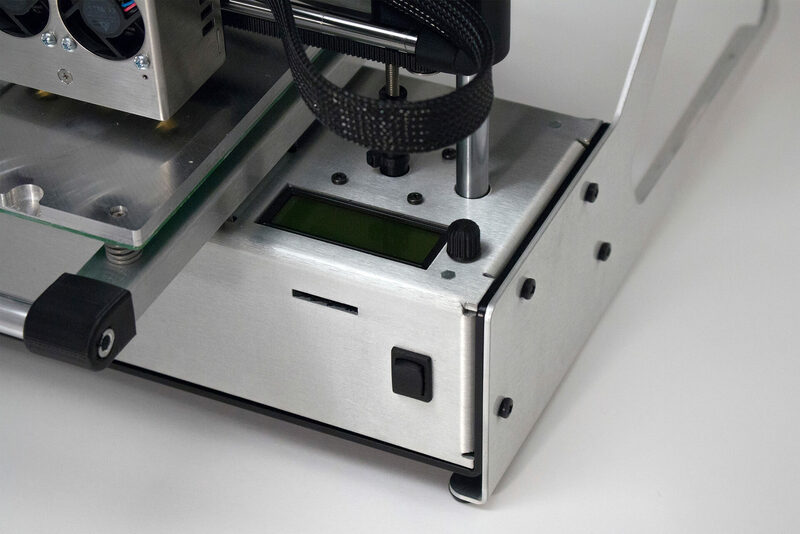 The original MAKEiT Pro used an adhesive-attached plastic channel to secure the hot bed cable in place, minimizing motion stress on the solder joints and enhancing long-term durability. 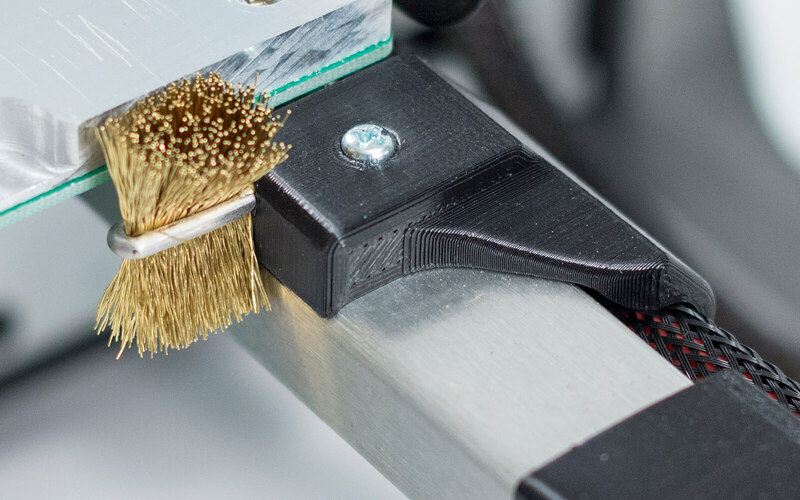 In an effort to streamline the assembly process through reduction of parts, and to enhance the visual quality of the machine, the nozzle cleaning brush holder now serves double duty as cable holder for the hot bed. This simple update of a printed parts removes 3 parts and an entire step from the assembly process. 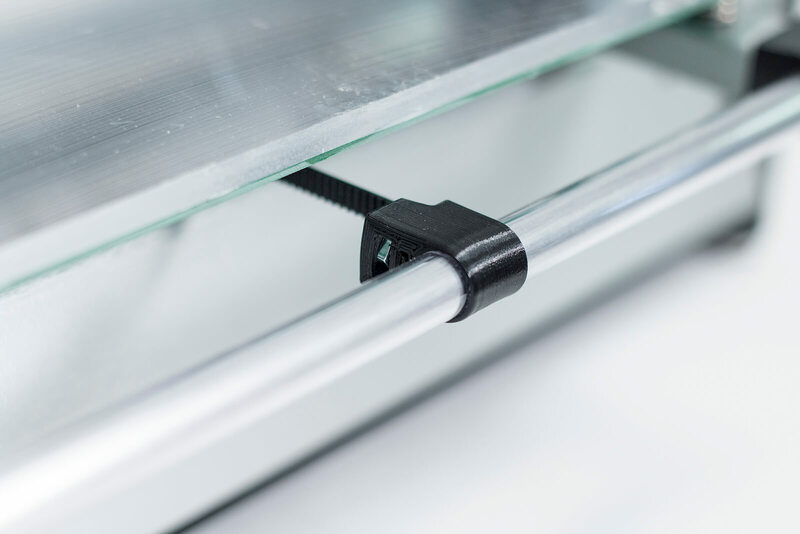 Beneath the aluminum X-bar cover reveals our extrusion feeder mechanism, printed in an ultra-durable PolyCarbonate blend. The hard-wearing material provides the strength and tolerance we need to drive even, consistent extrusion month after month. And, thanks to the freedom of designing for 3D printing, we are able to include a cleaning aperture to clean the hardened steel drive gears from the outside, without opening the case or feeder block. The encoder dial control knob stands as a show piece even amidst the premium quality of the other printed parts. Printed in ABS at a super-fine 20 micron layer resolution, the control knob shows a level of detail and precision that defies expectation for what desktop FFF printing is capable of.